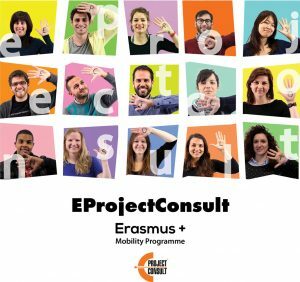 My name is Elena Rasheva, a Bulgarian girl, currently doing an internship in “EProject consult”. It’s only my third week here, but I already feel like home: the people, the work, the whole atmosphere in the office are amazing. Although my job is mainly in the office in Barcellona Pozzo di Gotto, last weekend (19-20 August) I participated in the organisation of the annual street art festival EspressivaMente in Parco Museo Jalari. This wasn’t only a job for me, it was much more than that: for two days, I had the chance to emerge in a completely different word- word of art, creativity and imagination! For two days, the Park, which is on its own a masterpiece, became the home of many artists. They had the unique opportunity not only to show their talent, but also to enjoy the beauty made by others. Painters, musicians, photographers came together to celebrate the FESTA of Art! Each one of them represented his pieces with pride; all artists were happy to talk about their work, their inspiration. For me, even walking in the park was quite an experience- all of a sudden, I found myself, away from the city, away from the hassle, only surrounded by art. I was one of the lucky ones- because of my job (welcoming and registering the participants in EspressivaMente) I got to know many artists and learn more about their work. The short discussions I had with them made me realise that art has no boundaries and the smallest thing can serve as an inspiration. However, the most important lesson the festival though me was that no matter how different people are, art can always unify them. Now, when EspressivaMente 2011 is over, I keep going through my pictures and live in the magical word of art and beauty!